Last Planner® System (LPS) and Integrated Project Delivery (IPD) are the main topics for discussion at the Lean Construction Ireland (LCI) Community Event on Thursday 18th January 2018 in Croke Park, sponsored by Ardmac Ltd.
Glenn Ballard, Professor at the University of California at Berkeley, co-founder of the Lean Construction Institute in the USA, and co-developer of the Last Planner® System (LPS), is the keynote speaker for this event. 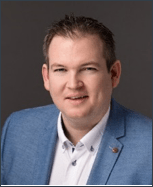 Jason Casey, Contracts Manager, Ardmac. 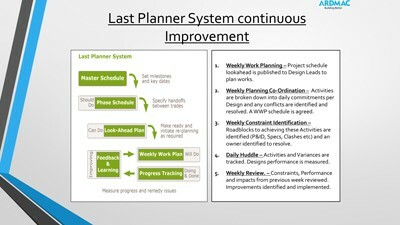 Last Planner® System (LPS) LPS is a collaborative planning process that involves trade foremen or design team leaders (the “last planners”) in planning in greater and greater detail as the time for the work to be done gets closer. Surveys show that the percentage of planned tasks complete using LPS can reach 85%, whilst the percentage of tasks complete averages out at approx. 54% using the traditional critical path method (CPM) of scheduling. Other benefits also include improvements in Safety, Quality, Commercial, and Schedule performance. At Ardmac we have had significant improvements in the areas outlined above, and with that incentive, we have now adopted LPS to suit our needs across all sectors. We have trialled this on a number of our projects across sectors including pharma, commercial fit out, and data centres to great effect. 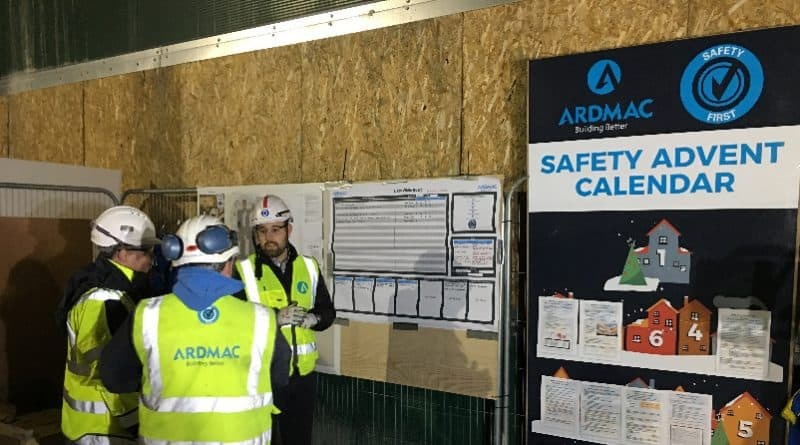 Ardmac has put a system in place to run LPS on all new projects from the start of 2018. IPD is a project delivery method that is distinguished by early collaboration between cross-functional teams, including design, engineering, and construction. That cross-functional collaboration and maximisation of the skillsets of the full team to achieve the shared project goals means that the project is optimised to increase value to the owner, reduce waste, and maximise efficiency through all phases of design, fabrication, and construction. IPD thus provides improvements to quality, safety, schedule, and commercial performance. There are many benefits to IPD resulting from full and integrated collaboration of the project team, shared objectives, and consensus decision making. Responsibilities can be shared among the team members which means that risk and rewards are also shared. By putting together shared goals and working as a team, schedule durations can be reduced by removing handovers from one part of a team to the next. For example, a lighting install contractor may typically wait for a ceiling handover, but with IPD there would be an increased probability of these tasks being implemented in tandem, thus reducing overall install time. Ardmac have been involved in IPD projects and have seen significant benefit in being part of these. IPD is an extremely beneficial system for expanding the knowledge base on the client’s requirements from all elements of the project and can aid client value as a result. The process is very transparent and that allows lower project cost incentives to be implemented which can help everyone’s bottom line. We have seen improved Added Value in Time, Safety and Quality and there is significantly less Risk in the IPD model versus the traditional delivery models. Everyone in the team is empowered to speak up for the improvement of the project resulting in a collaborative and strong team approach where everyone looks out for each other. We have seen a significant reduction in ‘drama’ around these type of projects and the result of reducing ‘drama’ is doing work. 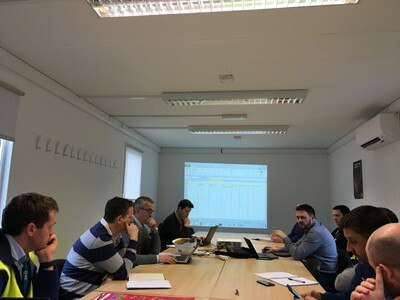 As a whole from a contractor’s point of view, we see clients look at the IPD delivery team and want to work with them again, knowing and trusting they will deliver high end, high ‘value’ projects. Visit the Lean Construction Ireland (LCI) website now to find out how to attend this event in Croke Park.